LG Electronics Inc. said Monday that it will introduce artificial intelligence televisions equipped with Apple Inc.'s wireless streaming service and smart home platform. Tim Alessi, head of product marketing at LG's American unit, made the announcement ahead of the Consumer Electronics Show in Las Vegas, which runs from Tuesday to Friday. 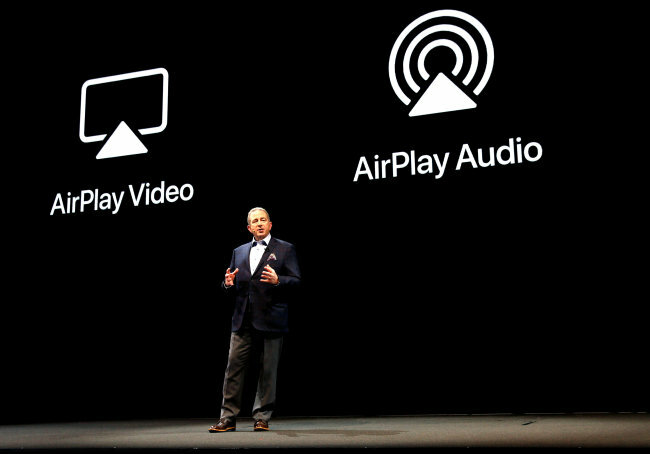 LG said its AI TV models will be equipped with AirPlay 2, Apple's wireless streaming standard, and HomeKit. The features allow Apple device users to enjoy diverse content on Apple's operating system iOS. They also can control LG's AI TVs through voice commands. The home appliance giant said the Apple services will enable customers to link more easily to its AI TVs and experience new levels of services.